Courtesy of DeRonja Real Estate, Sharon Pierce. Delayed closing-Seller can close after 9/25/2019. Enough time to get your home on the market and sold. 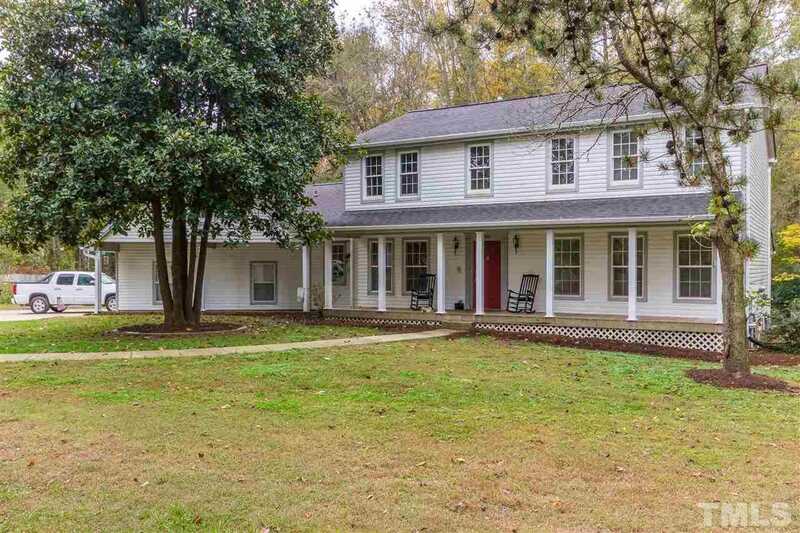 Highly sought after location in Cary w/ 2.82 ACRES, 2 apartments, 5200 sq.ft, NO HOA, NO CITY TAXES, 7BR, Master on main, 5 BR on 2nd floor, 1 BR in basement & 1 BR-above garage apt. Full kitchens & baths in both apartments w/ separate entries. Perfect multi-generational living, group home or additional income. Sold AS IS. Garage tenant would like option to sign new lease. Garage Dimensions: 882.50 sq ft. Directions: Drive west on Kildaire Farm Rd, right onto Penny Rd, pass Tattenhall Drive on left then look for 11225 Penny Road on left.